An ultrasound is an extremely common diagnostic test used for a wide variety of issues. You will likely have a number of ultrasounds over the course of your treatment. Ultrasounds are actually a quick and painless ways of learning a lot about your reproductive health. 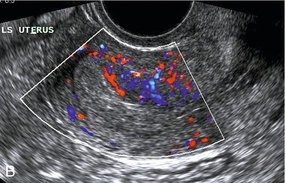 The ultrasonography is performed transvaginally on empty bladder as it gives much clearer images. The scan will evaluate the size, shape and condition of the internal reproductive organs like womb (uterus), inner lining of the womb (endometrium), both side eggs pouch (ovaries) and the adjacent pelvic area (adnexa). Abnormal unhealthy or polypoidal endometrium. The oocyte retrieval process in IVF reatment is done with the help of transvaginal ultrasonography. Follicular study (ovulation tracking) involves tracking of the follicles (fluid containing sac with eggs) of both the ovaries in a reproductive cycle. The follicle number and measure in mm of both the ovaries are observed carefully. Follicular study is an important modality to evaluate how the egg is developing and/or responding to the treatment. Hormonal injection may be required for the development of egg. It is done frequently like on day 2- day3, day 7 to day 9, day 11 of the menstrual cycle or as per required. It is one of the important part during IUI to monitor the ovulation and in IVF to monitor the growth of multiple follicles & endometrium. The majority of people are familiar with an abdominal ultrasound, also known as a pelvic ultrasound. This form of ultrasound is routinely used during pregnancy to check the health and growth of a baby. An abdominal ultrasound needs a full bladder as it helps to move the bowel away from your uterus and allows to get a better image. It is generally allows to monitor the procedure of intrauterine insemination and during embryo transfer. Color doppler is done in infertility patient for endometrial flow and ovarian blood flow.